Artificial intelligence and machine learning have become the hottest topics in business. An army of startups has been funded to pursue the commercial opportunities, whilst the bosses of big companies increasingly look to implement AI strategies at scale. 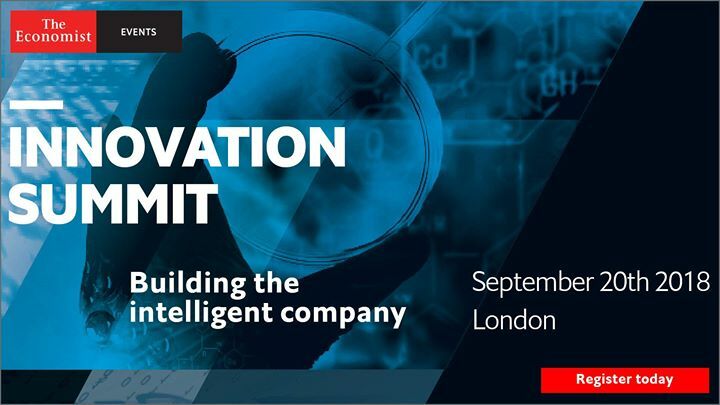 Join us at The Economist Event’s Innovation Summit 2018, on September 20th in London to network with leading innovators, policymakers and disruptive entrepreneurs for successfully embracing AI and machine learning to build a truly intelligent company.